12 days and counting! Its happening and the doors are ready to be open for the 1983 Art Toy Show | 19八3. Showcasing a wide range of artists from Asia as well as a few familiar faces flying in from the West! 1983 Art Toy Show 19八3 Looking to shake the art toy scene and drive collectors/flippers crazy with the two-day event. 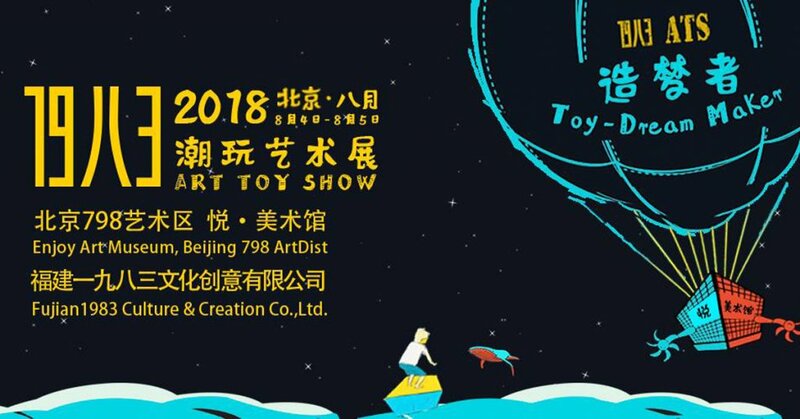 It’s not just showcasing exclusives and toys, 1983 Art Toy Show 19八3 will have live painting as well as auctions. Prepare to get your wallet and charge up your WeChat/Alipay account. Hold on to your seats and check out some of the exhibitors below. The General tickets have went on an unexpected sales since 14th July, we have decided to change the rule to “Set time and limit numbers”, please follow our official account for more details. We will launch out more information about ATS and all participated artists from 20th July.